BHUBANESWAR: Streaks of artistry and designing were visible in Sheefalika Mishra quite early in life. Rightly so, she got herself through NIFT and presently, while pursuing her post graduation at National Institute of Design, she proved herself, being the only one from among the 329 design students from all over the world to win the Domotex International Carpet Award at Hannover, Germany in the young designer category. Sheefalika was awarded a cheque of ,1,000 and the hand-knotted rug of the design that she had submitted. The other two finalists were student designers from Japan and Turkey. ‘‘It has been like a personal benchmark. Rugs are like textile art for the floor, statement pieces. My art work drew inspiration from a diverse range of sources. The colours were inspired from the beautiful painting, ‘The Gate’ by German abstract expressionist Hans Hoffman. The form used was chevron, a universally time-honoured pattern. The treatment opted was an assemblage of pieces of coloured paper like mosaic art which gives depth and character to the piece. I was inspired by the current global eclectic approach in interior design,’’ explains Sheefalika. The pleasure of having my design hand spun and hand woven in Afghanistan, which has a rich history in carpet and is believed to inhabit one of the most highly skilled weavers of the world was tremendous. The rug is kept as part of my collection to be shared and taken forward for further design explorations with different weaving communities. During her three-month internship with Vriksh, a design studio based in Bhubaneswar, Sheefalika had documented Odishan craft including that of Raghurajpur, Pipili, weaving traditions of various places like bomkai, tassar, bandha and ikat which culminated in a 300 page book that is NID property now. She has worked with Jaipur Rugs, which is India’s largest manufacturer of hand knotted rugs and she has designed several collections for them. The Carpet Design Awards at Domotex have been designed to set new global standards for quality and design in hand-made carpets and rugs. 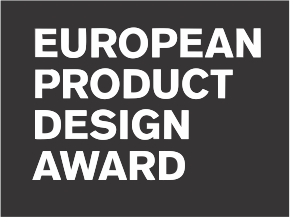 The entries are judged on a range of criteria, including design, quality of materials, product features and innovation. 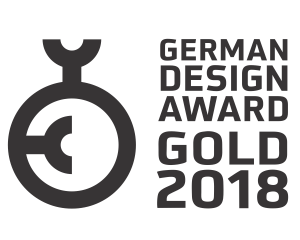 From among the 329 entries from designers, a jury of nine shortlisted 11 most impressive designs which were declared winners and the designs were hand woven at Afghanistan to be finally displayed at the awards ceremony at Hannover.